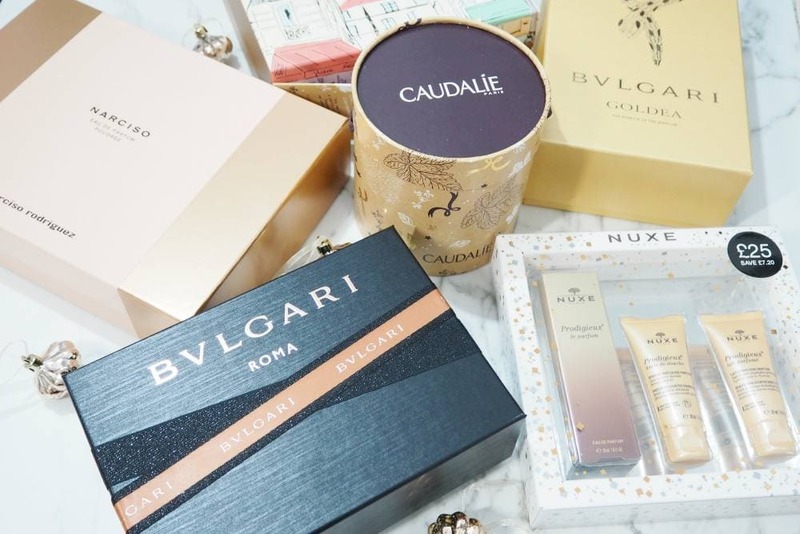 Escentual Christmas Gift Guide PLUS Giveaway! | Gemma Etc. Escentual Christmas Gift Guide PLUS Giveaway! I’m really excited about today’s post as it’s a little different to anything I’ve done before as I have an Escentual Christmas Gift Guide for you, and they have collaborated with me to offer a fantastic giveaway which I’ll go into more detail towards the end of my post. 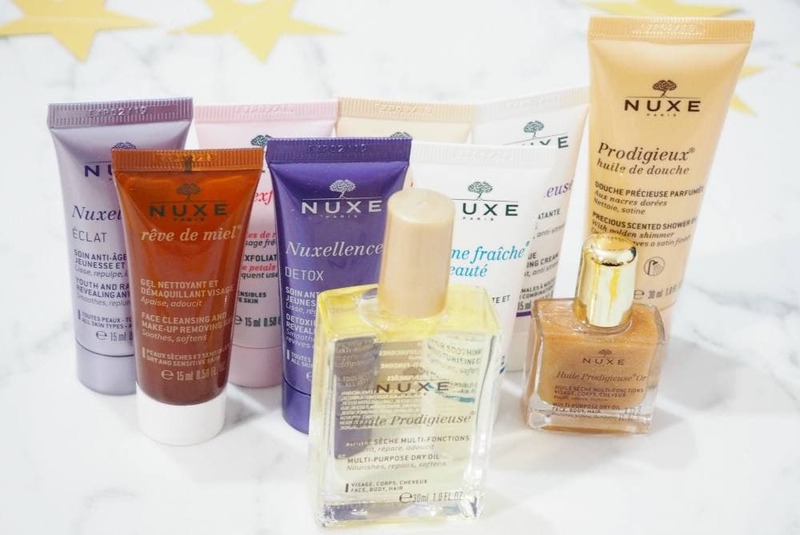 Escentual is one of my favourite online beauty stores as they stock such a wide range of brands and they regularly have generous offers and promotions such as their popular French Pharmacy Month’s where they discount their French skincare brands. 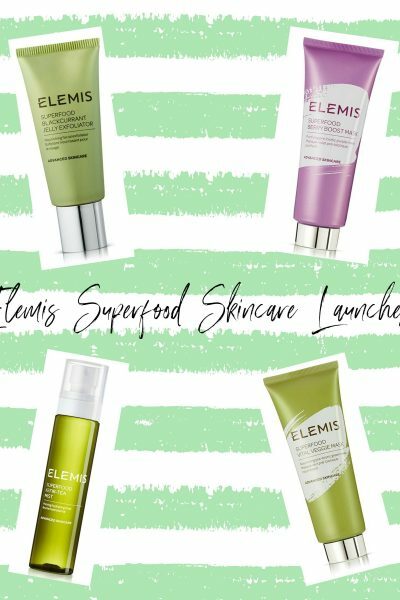 I personally like ordering through Escentual as they have quick delivery, which is free when you spend £30 or over and they offer skincare, haircare, makeup, fragrance and more. 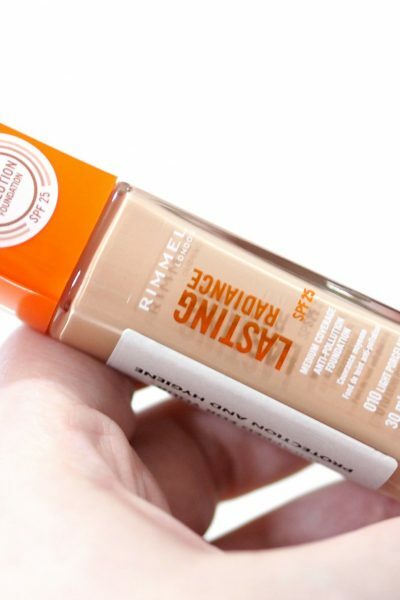 They also offer a loyalty point system where you earn points with every purchase you do, which you can then redeem against future purchases – it’s always good when companies reward you for being a beauty addict…. I have a selection of the Escentual Christmas Gift Sets for my Escentual Christmas Gift Guide which they have on site which would make for great presents this Christmas which include skincare, bodycare and fragrance but they have an extensive range of gifts to choose from. To coincide with my Escentual Christmas Gift Guide, Escentual are running an #EscentualWish Giveaway over on Pinterest in collaboration with myself with a top prize and a runner up winning some Escentual vouchers. 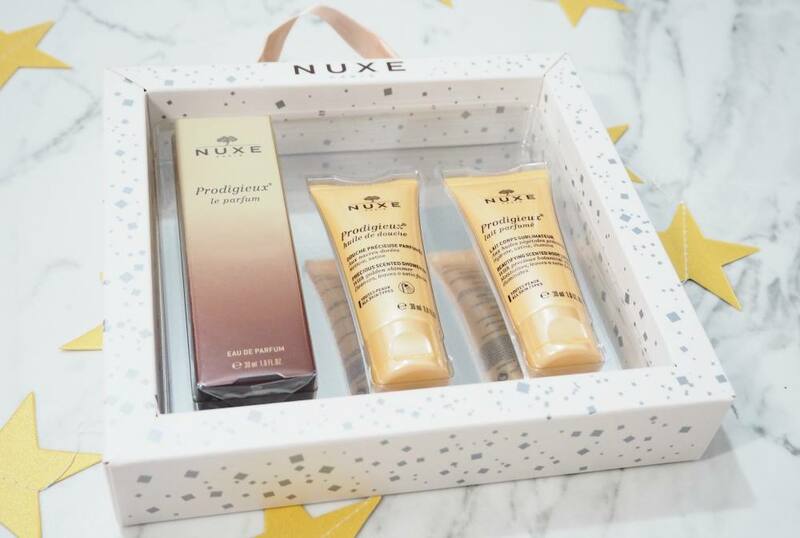 The NUXE Huile Prodigieuse Dry Oil is such an iconic beauty product, and is one of NUXE’s best selling products. 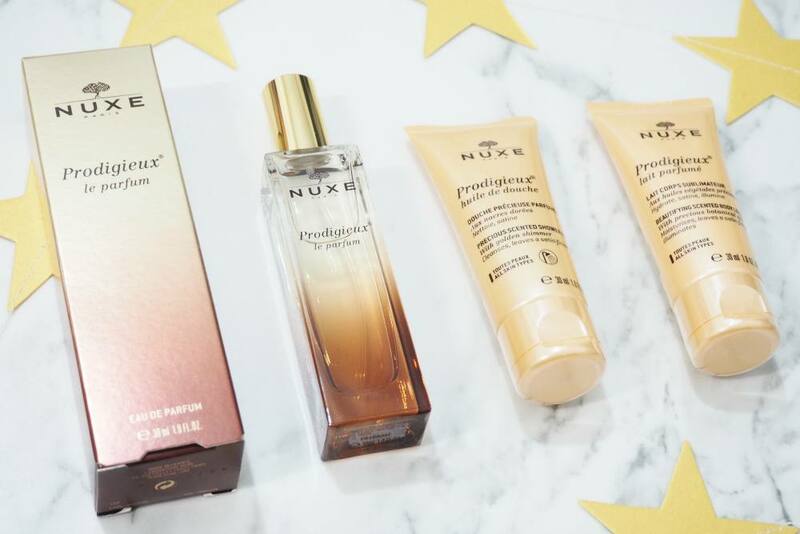 Following its popularity, NUXE have followed up with other products within the Prodigieux collection, three of which are included within this giftset; Nuxe Prodigieux Eau de Parfum Spray 30ml, Nuxe Prodigieux Precious Scented Shower Oil 30ml and Nuxe Prodigieux Beautifying Scented Body Lotion 30ml. 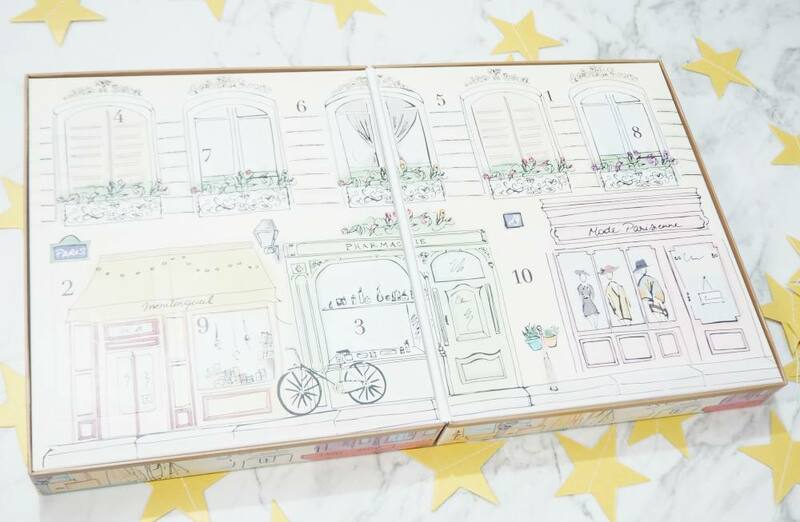 The set is packaged within a cute white and silver box with a ribbon on the top, and it really is a great deal as a 30ml size of the fragrance is worth £26.10 alone without even considering the lotion and shower oil so to get the set for £25 is amazing. 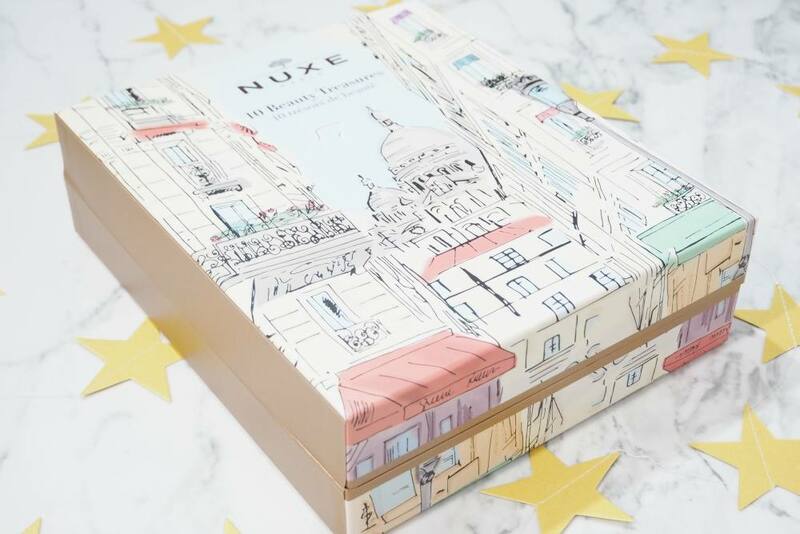 Due to the way the set is packaged, you could always gift the fragrance to someone and keep the two body products for yourself if you wanted to, and if you’ve never smelt the NUXE Huile Prodigieuse, you really are missing out as it’s such a gorgeous, warm and floral scent which instantly transports me to summer in a couple of spritzes thanks to the coconut milk and vanilla. How adorable is the packaging of this little cardboard drum? The drum has a purple ribbon handle, and has a festive leaf design all over. I really like that the colour scheme and decoration is quite universal so you could gift it to either a man or woman. 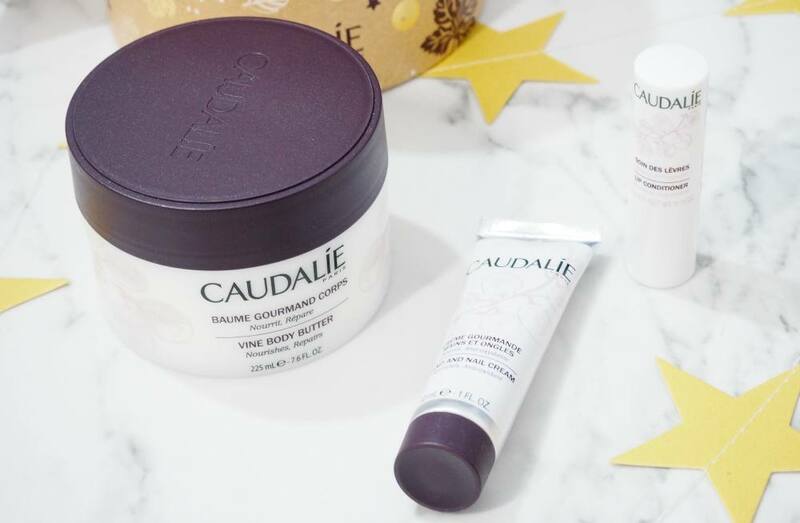 The set includes three products from the Caudalie collection; Caudalie Vine Body Butter 225ml, Caudalie Hand and Nail Cream 30ml and a Caudalie Vine Lip Conditioner 4.5ml. 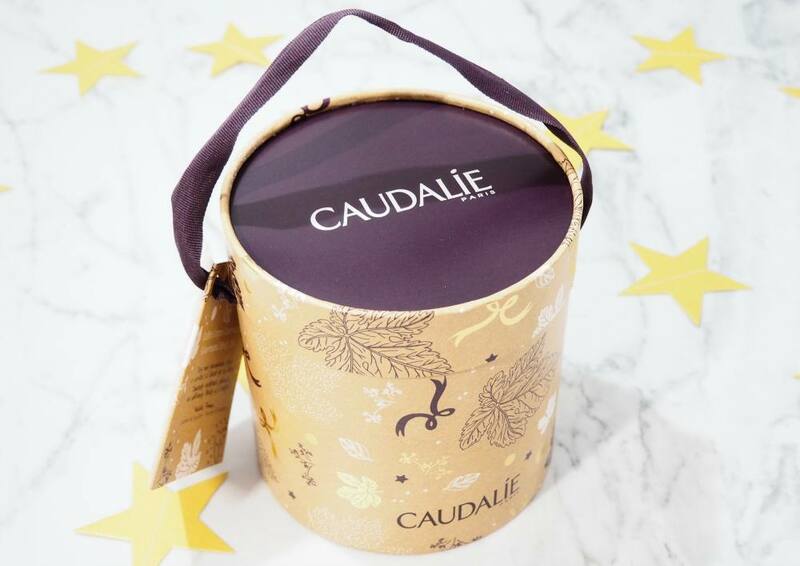 I’ve not tried very much from Caudalie’s bodycare range, only their skincare range so this is a great set to try three generously sized products and keep my skin as nourished as possible during the Winter months. I just knew I had to include it within my Escentual Christmas Gift Guide. 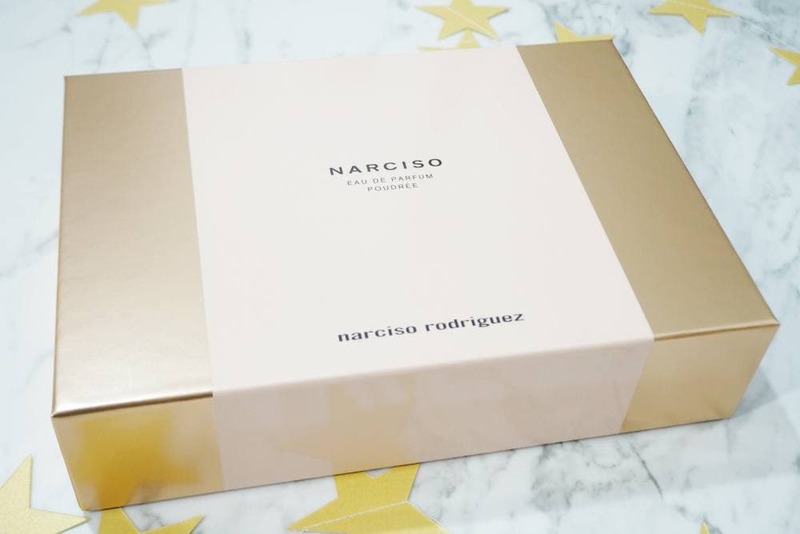 Narciso Rodriguez is such a stunning fragrance brand, and Escentual describe Poudrée as; Narciso Poudree is an elegant, sumptuous fragrance that personifies sophisticated chic. Infused with delicate yet empowering nuances of white jasmine and Bulgarian rose, its soft and sensual scent is the perfect match for the graceful woman in your life. 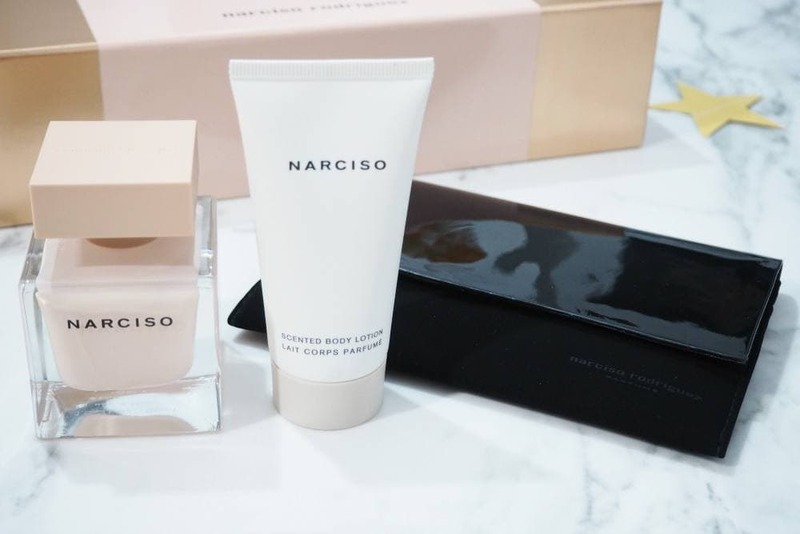 The set contains a 50ml bottle of the Eau de Parfum, a 50ml tube of the matching Body Lotion as well as a matte black and glossy black makeup pouch. Poudrée is a powdery rose scent which is quite a statement fragrance as it’s a little intense with nuances of black cedar and musk. If you like powdery and/or rose based scents, I’d recommend giving this fragrance a try. The set is so lovely within a rose gold and pale pink box, and I love the makeup pouch within the set as you really could use it as a clutch to hold your phone, keys and bank card for any Christmas parties or nights out. Men are always notoriously difficult to buy for, so I had to include a set for the men within my Escentual Christmas Gift Guide. 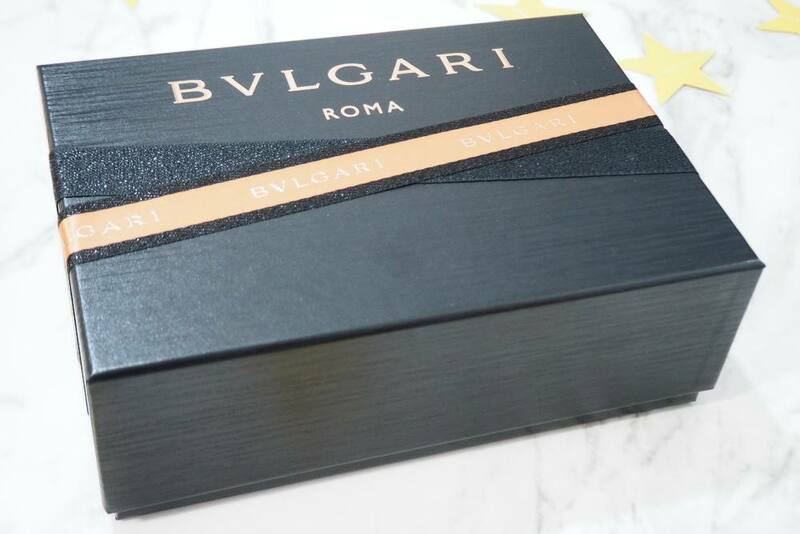 The Bvlgari Man In Black scent captures the charismatic personality of a man that is raw and visceral. 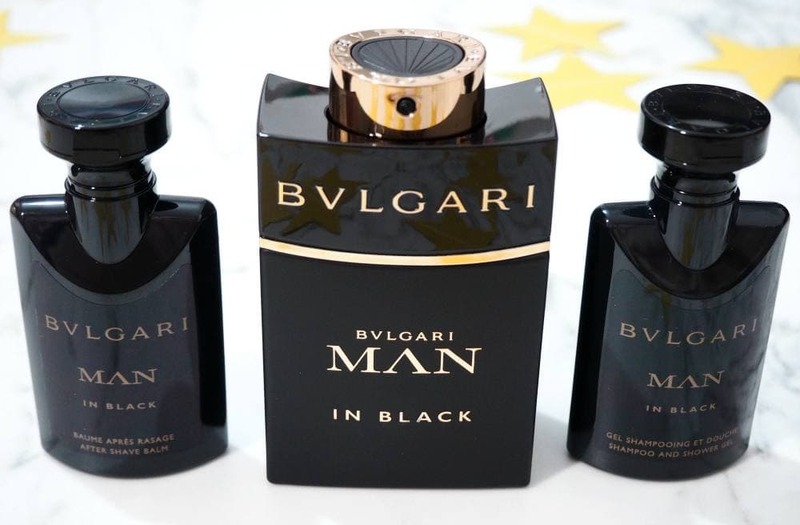 Inspired by the myth of the birth of Vulcan, God of the Earth, Man In Black is bold, fascinating and the perfect fit for those who want to capture attention. Notes wise it opens with seductive top notes of liquor and spices, which contrast with the floral heart of tuberose and iris. In the base, benzoin, tonka bean and guaiac wood according to Escentual. The set contains a 60ml size of the Eau de Parfum, a 40ml size of the matching After Shave Balm and a 40ml size of the Shampoo and Shower Gel. The packaging is amazing, and so luxurious with black glitter and rose gold accents, so it looks festive yet manly at the same time and I am so going to steal the box off my other half for makeup storage as it’s just so pretty. 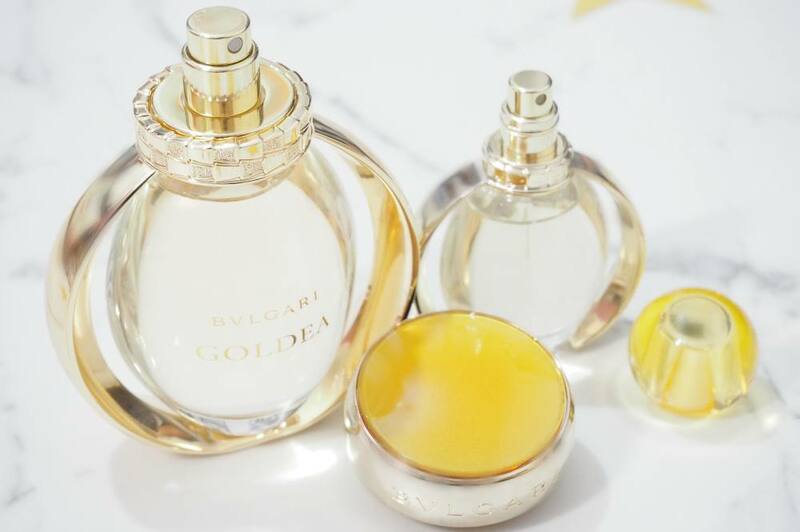 With a Bvlgari scent for the men, I knew I needed to include one for the women too and this Goldea set is one of the most luxurious fragrance giftsets I’ve ever seen. 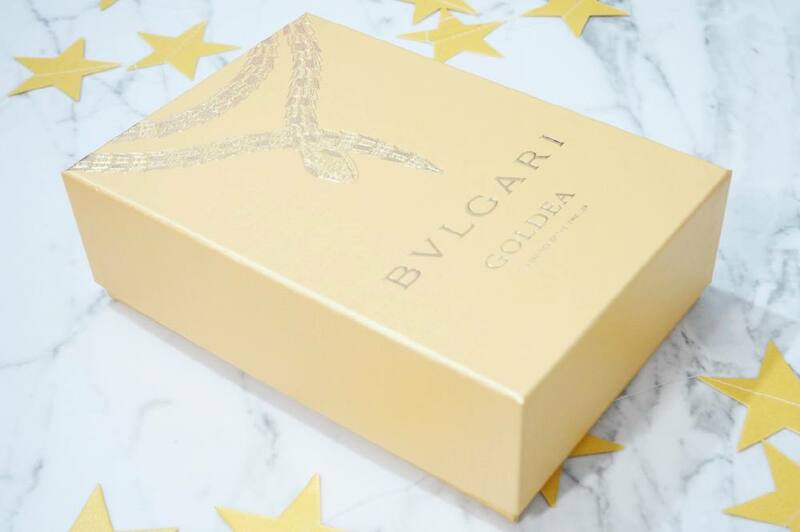 The set includes a BVLGARI Goldea Eau de Parfum 50ml and BVLGARI Goldea Eau de Parfum Purse Spray 15ml within a gold material covered box with a glittery insert holding the bottles. The fragrance bottles are so beautiful with rounded bottles, and gold metal circles surrounding the bottles with jewellery like lids – the bottles look like pieces of art, and would looks incredible on a dressing table or vanity. The Goldea fragrance delights from the beginning as raspberries, bergamot and orange blossom mingle in the top notes. In the heart seduction leads, as waves of jasmine petals meet a base of golden patchouli and Egyptian papyrus. It’s such a sophisticated fragrance, and one I’ll reserve for special occasions as it’s incredibly luxurious and long lasting too. Escentual Christmas Gift Guide GIVEAWAY! You must create a public Pinterest board and name it My MMM #EscentualWish (important to use this name so we can see all entries). Once board is created, start pinning your favourite products from the Escentual.com website. 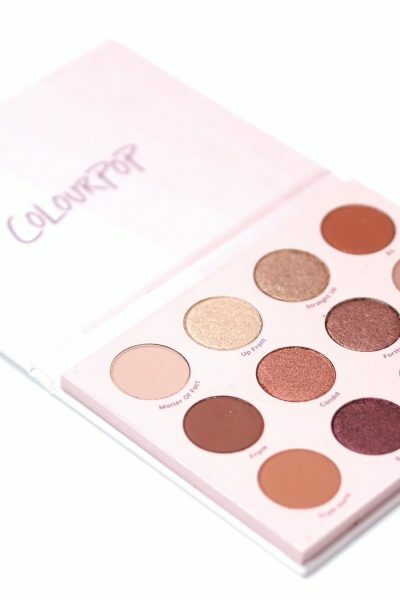 Lastly, you must follow both Escentual (here) and Miss Makeup Magpie on Pinterest. We are so excited to see all of your entries, and the items you’ve chosen for your wishlists so happy pinning and GOOD LUCK!